Side exterior of “The Greenwich House” featuring a new level of outdoor living complete with built in speakers and outdoor TV for great get togethers around movies and sporting events. Greenwich, CT, September 1, 2016 – There are numerous trends and buzzwords around home building today. You may have likely heard about home automation and smart homes. If you are trying to save on your energy bills, you are likely zeroing in on energy efficient products for key home systems. Then there are the eco-friendly, green, and zero-VOC products that are popping up everywhere. With all of these new innovations hitting the market it is just plain confusing to consumers. 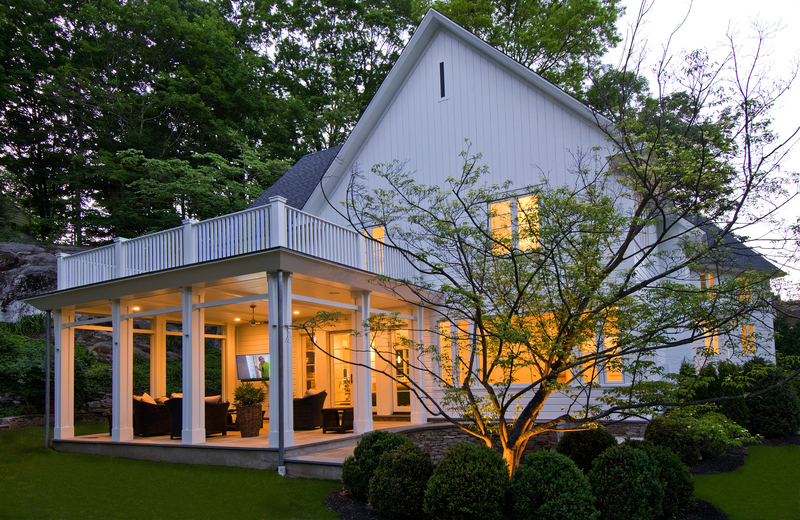 Enter a next generation house built in Greenwich, CT. The house is providing clarity by demonstrating achievable value-add upgrades to life’s biggest investment. It’s simply called “The Greenwich House” and is the culmination of a vision around smart, healthy, and green home building from Sabine H. Schoenberg, host of Sabine’sNewHouse. “I feel strongly that our homes can be instruments to improve our health and our lives,” says Schoenberg. Schoenberg sees this as a movement around “the next generation of home building”. She has amassed a significant social following and shares her adventure around the many innovations through her YouTube channel. 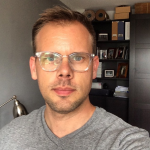 “I want to show consumers and the industry that we can build better homes, not just trendy homes, but better homes that really have a significant impact on people’s health and wellbeing,” states Schoenberg. Every light, switch, room and window in this house is wired up for some serious tech. Powered by Pyng from Crestron, the homeowner is able to control everything from security, lighting, audio and video, heat and air conditioning, even the window coverings are wired up. 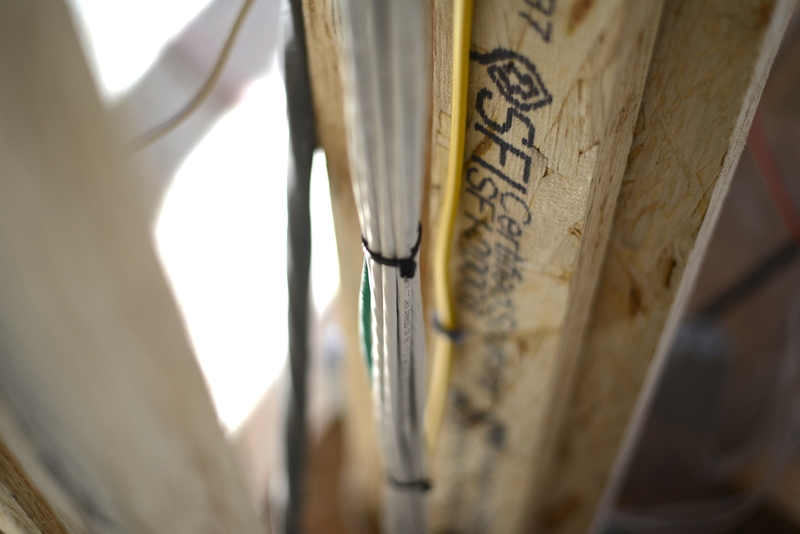 The home has been pre-wired throughout to accommodate future innovations around home automation. Further innovations include a doorbell from Ring. Complete with video feed and dedicated smartphone app, you no longer have to guess who is at the door. Need to communicate with your guest? You can even activate the intercom direct from your phone. When away, the Ring doorbell serves as an extra line of security for the home taking a photo of anyone who rings the doorbell. Indoor air-quality is a big concern today. In fact, an EPA study showing indoor air quality is 5 times more polluted than outdoor air has been widely reported. With this in mind, Schoenberg made sure that every product coming into the home was Zero-VOC and devoid of hazardous toxins that often plague homes. This effort started at the stud walls where TrusJoist engineered lumber from Weyerhaeuser was selected. Not only is this lumber incredibly strong and straight (reducing potential for settling and cracking in the walls), the process to make it minimizes toxic chemicals that can offgas into the home. The finishes and adhesives used in the home also play an important part. Starting with a zero-VOC floor adhesive from Stauf that also has noise dampening properties, to the zero-VOC floor finish from Rubio Monocoat made from beeswax and linseed oil. “I couldn’t believe that during the finish phase of the floor I was overcome with a smell of flowers, not the headache inducing effects of polyurethane,” remarked Schoenberg. 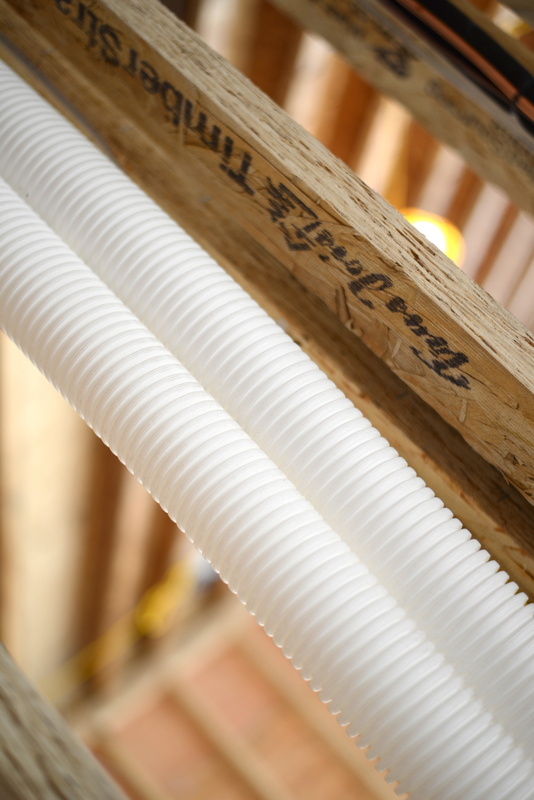 Tubing for the Zehnder ERV system runs throughout the house to deliver fresh air. It doesn’t stop there. To ensure clean fresh air throughout the home, a Zehnder ERV (energy recovery ventilation) system has been installed. The system brings fresh air into the home and expels stale air. Eco-friendly and green home building encompasses two key elements: energy-efficiency and environmentally sourced materials. The Greenwich House has both of these elements in mind starting deep in the ground. “Achieving the most energy-efficient house isn’t based on one solution, but a series of material and design choices that combined amount to significant cost savings over time.” remarked Schoenberg. The home’s heating and air-conditioning system is driven by geothermal wells and heat pumps from Carrier. Because they are able to be located inside, the overall life of these systems is dramatically increased. The overall energy efficiency of the home is further improved by an air and moisture barrier made by Henry Company called Blueskin. The product has been shown to cut energy loss through the exterior of the home by as much as 40%. Further, windows from Jeld-Wen have a UV coating which reduces heat gain through the homes vast windows. Spray-foam insulation rounds out the overall package and energy efficient appliances from Miele and LED lighting further add to the energy savings in the home. All put together the house has reduced energy consumption by over 60% compared homes built to conventional building standards. That’s serious cost savings over the life of these products. But green building doesn’t stop at energy efficiency. Thoughtful consideration was key when selecting building materials for the home. The TrusJoist engineered lumber we mentioned earlier has a much higher utilization of the lumber requiring fewer trees to produce. The wood flooring is from Hull Forest Products, a company that is known for sustaining some of the healthiest forests in New England and carefully harvests timber in a way that enhances the forests they manage. Other materials used in the finishes from natural stone to ECO countertops from Cosentino, made from 75% recycled material (glass, porcelain, and earthenware) also lend to the eco-friendly aspect of the home. Schoenberg’s efforts strive to showcase new innovations around smart, healthy, and green home building. No surprise that her audience has grown dramatically since launching just a year ago. Catch two of her new series recently added to her YouTube channel: Smart. Healthy. Green. News from Sabine’s New House brings viewers timely news on products and trends and Ideas for Your Home by Sabine’s New House provides viewers with tips on how to incorporate ideas from the show into their own home build and renovations. You can find out more at Sabine’s website, www.sabinesnewhouse.com. “The Greenwich House” is the Season 1 project for Sabine’s New House with simultaneous web series hosted by Sabine H. Schoenberg focused on the next generation of home building. The goal is better quality of living from the latest in smart, healthy and green building materials, finishes and design. Sabine’s New House embodies a movement focused on creating homes for better living through state-of-the-art, proven technologies focused on smart, healthy, and green home building materials, finishes and design. 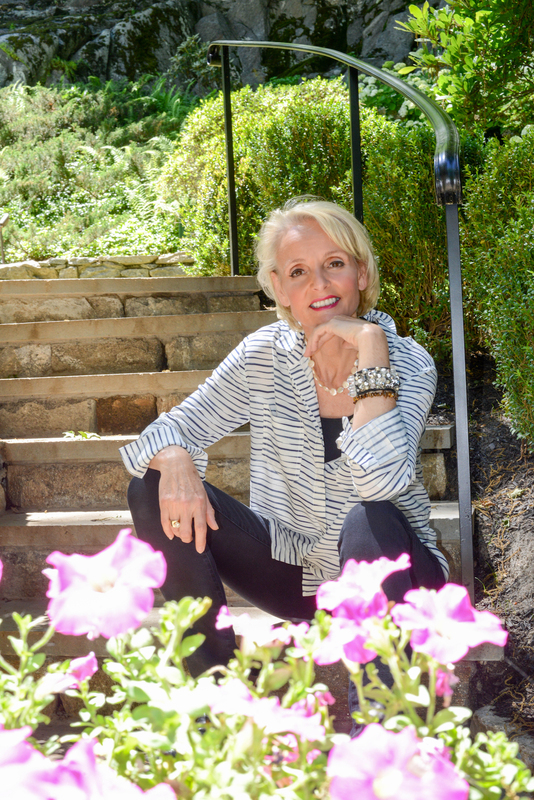 With over 30,000 followers on social media, 25,000+ subscribers to her email list, and thousands of visitors to her website, Sabine H. Schoenberg, founder and host, is leading the way for the next generation of home building.